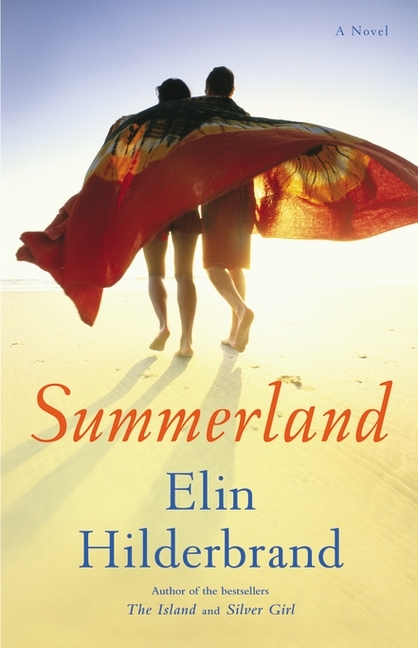 Elin Hilderbrand’s Summerland presents a different side of Nantucket — the real people, so to speak, who live there year-round, and have lives beyond the “fantasy of American summertime” that draw tourists in. The novel centres around a tragic car accident involving high school seniors just after graduation. Penny, a promising young singer, is the designated driver and killed on impact. Her twin brother Hobby is in a coma, her boyfriend Jake and her friend Demeter are both fine. People say they saw Penny, just before getting into the car, being visibly upset about something Demeter told her behind the dunes. Whatever she heard, it had upset her so much that she drove recklessly, seemingly with the intention of killing herself. The question of what Penny heard becomes the driving force of the narrative, as Hilderbrand delves into the various secrets of the town’s residents, and Penny’s circle of family and friends. Summerland seemed like a great read for a lazy summer day — small town intrigue, colourful cast of characters, picturesque setting. There are certainly moments of real drama, and characters are given depth in various ways. I was especially touched for example when reading about Demeter’s alcoholism, which stemmed from her insecurity and weight issues. I was also sympathetic to Jake’s mother Ava’s desire to go back home to Australia, and less sympathetic to Jake’s father Jordan’s workaholic tendencies. The explanation of why the death of Ava and Jordan’s younger son in infancy has hit the couple so hard was especially poignant, and made me even more sympathetic to Ava. Other characters had their own form of drama, and their stories all intersected. As Hobby observes, everyone had secrets, everyone was fallible. Which of these secrets was enough to push Penny over the edge? And how does everyone deal with the guilt of thinking it might have been theirs? Because of the length and the number of narrative voices, Summerland appears to be aiming for a sweeping summer epic, a lovely, lazy, intimate look at complex characters in a beautiful town. In a way, I found the book lacked focus — too many stories, too many details, I ended up getting bored and not caring. Yet in another way, the book also seemed too focused on the accident. That’s an odd thing for me to say, because I generally complain if books wander pointlessly, and I do appreciate a focal point to tie together a sprawling narrative like this. However, the crux of the narrative — what secret it was that pushed Penny over the edge — just wasn’t strong enough to propel almost 400 pages of narrative. I was intrigued, and I wanted to find out what it was, but I didn’t really care. Would learning the big secret really impact of these characters’ lives? They all certainly seemed obsessed with the question, yet it didn’t feel particularly urgent to me. Or perhaps it’s just that I ended up not caring about the characters. The problem with having such a huge cast of characters, with the story switching constantly between points of view, is that it becomes confusing. This is especially the case in the beginning, when we would get a new chapter, with the main character of that chapter introduced by his or her first name, and I had no idea who that character was. It did get a little easier as the story went on, but — and here’s the other problem with the novel — the story was just so long that I found it difficult to keep track. I think the problem was compounded by the multiplicity of perspectives, which meant that certain events are rehashed over and over again from different points of view. It wasn’t as repetitive as it could have been — Hilderbrand is skilled at making each character’s story sound fresh — but all the shifting between flashbacks, as well as the persistent focus on the question of what Demeter said that made Penny go nuts with the car, became tiresome after a while. At various points, I just wanted to skip to the end and find out what the big secret was, without having to listen to all these characters emote about their pasts. Hilderbrand also includes chapters from the collective point of view of Nantucket residents. In the narrative style of Jeffrey Eugenides’ The Virgin Suicides and Hannah Pittard’s The Fates Will Find Their Way, Nantucket becomes a bit of a character itself, and we see how the actions of our main characters are perceived by their community. This approach could work, though I personally think it works best if sustained, as Eugenides and Pittard did. Done well, that kind of language can transport you and pull you into the story. In this book, the Nantucket chapters were well written, but they also felt jarring. Because of how many narrative voices I was already trying to keep straight, hearing a collective narrative voice on top of those just added to the cacophony. It’s not a bad novel, and I know other people have loved it. There are even scenes in it that I loved, and aspects of characters that I found especially interesting. Overall however, I just found the reading experience interminable. Thank you to Hachette Book Group Canada for a finished copy of this book in exchange for an honest review. This entry was posted in Book Reviews and tagged 50BookPledge2012, Fiction, HBG Canada by Jaclyn. Bookmark the permalink. I knew that name sounded familiar! I have her book Barefoot on my shelf–I won a copy a few years ago, but still haven’t got to it. Perhaps because I expect it to have some of the same issues that you’ve outlined here.